I love the cover!! Are the rings going to be on sale anytime soon?? That is TOO gorgeous! !I L-O-V-E the cover its completely kewled out!! !I can't wait until the book comes out! !AHHH I'm gonna scream!! oh my gosh thats awesome!! Whens the book coming out?!?!?!? I'm soooo excited! Wow! 1. What's it about? 2. Where can we buy the rings and about how much will they be? 3. When is the book going to come out? now dats special!! i promise ill read it. the snake's gotsomthing to do with death being eternal- am i right? i read somthing about them. 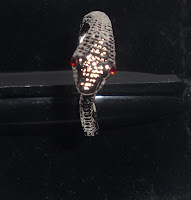 or perhaps its the snake that encircles the world? idk. so any way.... lax tryout 2day- it was muddy. my legs turnt brown. i gotta wear a dress tmrw 4 an award ceremony thing 4 my editorial. got a 99. I know, u wouldnt think my grasp of the english language was very good. hope i win!though if i do i gotta make a speech. bleckle!! OMG it comes out on my birthday ! :D yessss anyway i can an andavnced copy ??? Wow. I am SO EXCITED!! Where can we get those rings? OMG!!!!! So, when are we going to be bidding on the exclusive-not-for-sale-pre-published copy? Hmm? IT LOOKS AWESOME!! how much will the rings cost? Oooooo! Luv luv luv the cover! And the rings! i must have one!!!!!!!!!!! the rings are so cool!!!! i can't wait to read the book. where could i get the rings? YYEESSSSSS!!!!!!!!! I will be buying that! Where can I get one of those rings??? Nice cover. I got fish on my blog!! I included the prologue to my new book. I saw this, screamed "YES!" and then everyone in my family looked at me like I was crazy. Congrats, Kirsten! The video is amazing. As a writer, I'm so incredibly jealous. Haha, maybe one of these days I'll work up the courage to send something to a publisher or an agent or something. Maybe. 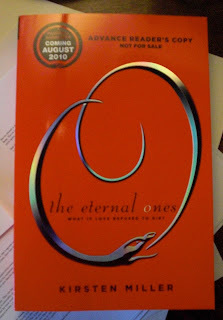 I got the ARC of your book The Eternal Ones and have to say I LOVED IT! I will be adding a detailed review to my book blog soon and I have already gave you 5 stars on goodreads! Froggy: Wow! Thank you soooo much! I'm glad you liked it. I will check out the review right now! WOW Kirsten the book looks so good, I can't wait to read it!!! 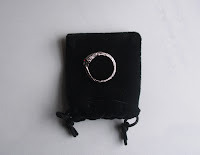 And the ring is very nice! And the video is so good!